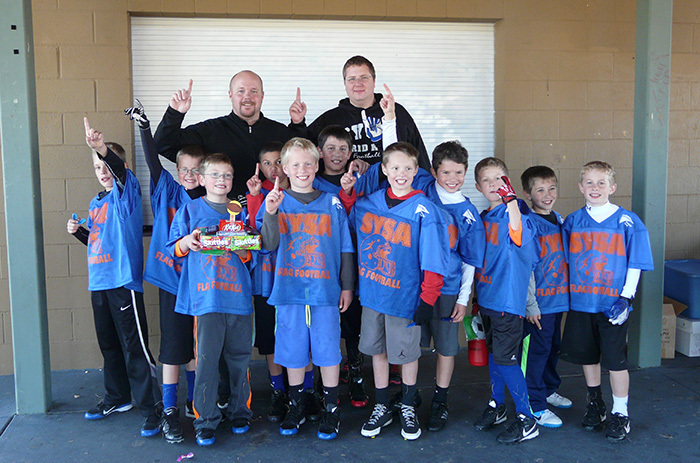 After losing to the Oregon Ducks earlier in the tournament the Utah Utes coached by Mac Mikkelsen, took them to overtime in the championship game and won in a thrilling Kansas City Tie Breaker to take the 2013 1/2nd Grade Division Candy Bowl Championship! 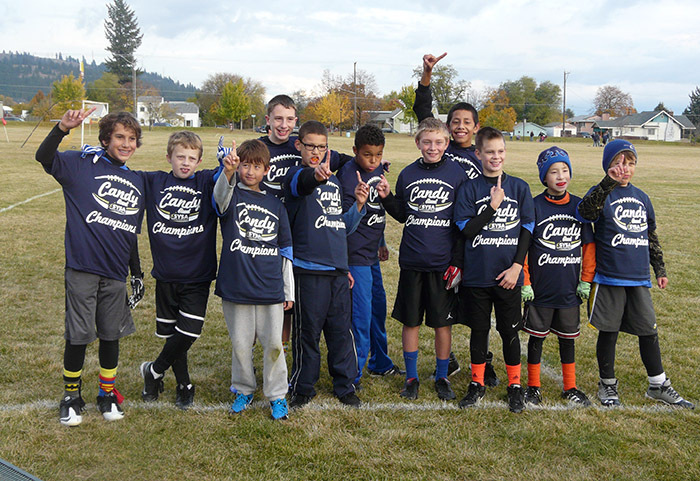 After facing some stiff competition through out the tournament, their defense proved to be the difference maker allowing the Boise St Broncos coached by Matt Metz to become the 2013 3/4th Grade Division Candy Bowl Champions! With an explosive offense they outscored their opponents to become the 2013 5/6th Grade Division Candy Bowl Champions, congratulations to Coach Matt Metz and his Boise St Broncos! Thank you everyone for coming out to the Candybowl and congratulations again to our winners!